Out Wednesday, November 21 is “Ralph Breaks the Internet,” the sequel to 2012’s video game inspired “Wreck It Ralph.” Directors Phil Johnston and Rich Moore, screenwriter Pamela Ribon and producer Clark Spencer sat down with actors Jack McBrayer (Fix-It Felix), Taraji P. Henson (Yesss), John C. Reilly (Ralph) and Sarah Silverman (Vanellope) to talk about their characters’ journeys and how own lives get shaped by technology. 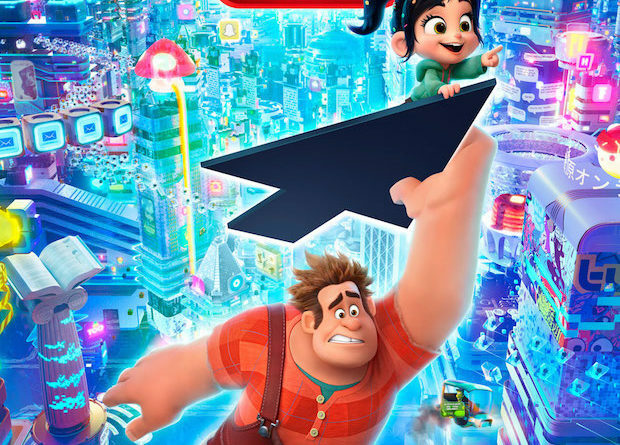 First, the filmmakers Johnston and Moore discussed why they decided to revisit the characters of “Wreck It Ralph” to make this film six years later. Johnston: And so knowing that he still had quite a bit of insecurity, he still had farther to go on his journey, and we had only known Vanellope for like 35 minutes or 40 minutes, so she has a whole other story, so we had to keep going with these characters. Henson talked about how she approached the role of bringing life to an algorithm. Henson: I just thought she was incredible, I mean, when Rich and Phil brought her to me and explained her I said, “This is a no brainer.” I mean, she’s a go-getter, she’s the head of a company, she’s no nonsense, she has heart. My favorite scene is when Ralph finds himself in the comments section and she comes in and she tells him, it’s not you, it’s them. Reilly addressed how a vintage arcade character like Ralph handles being thrust into the modern internet. Reilly: It was initially even conceived as a fish out of water kind of character and that was a lot of what we played with in the first film was how does Ralph behave, or how does any video game character behave, in a game that’s not his own? And then the internet is this literally infinite landscape, so there’s a lot of fun metaphors that we’re playing with in the film, and the idea that the arcade is like the childhood kind of arena of their friendship and the internet represents the sort of larger world beyond as they grow and mature…. I think a lot of kids and adults are finding things in the film that they can relate to in terms of the way relationships evolve. Given Ralph and Vanellope’s chaotic introduction to the internet, Sarah Silverman reflected on her own experiences online, good and bad. Silverman: [On Twitter] Well, for a comedian it’s a great place to try out jokes, or a place for just a funny thought and you want to put it out there, but then it became the place where I take in me news and now I want to look back at the times when I was funny on [the internet]. But I think, the internet, because it was new for us, kids, it’s all that they know and I wonder in what ways that’s good and bad. We had to learn how to navigate it and how to protect ourselves. 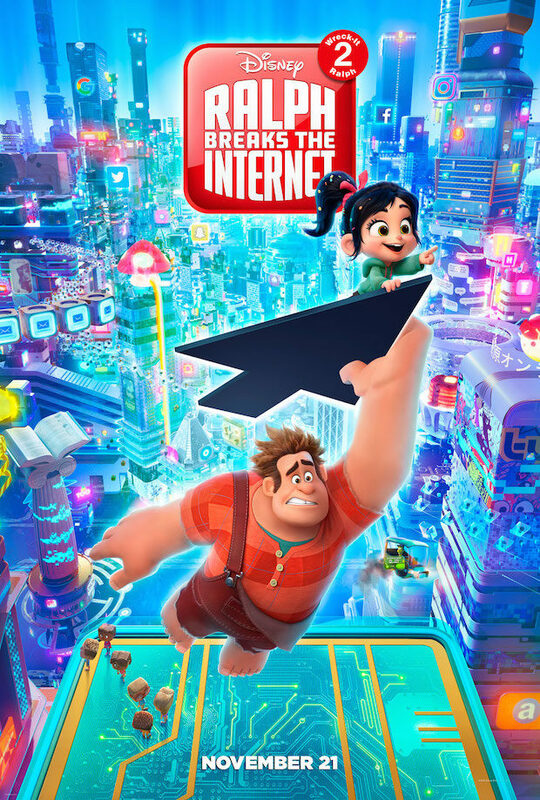 “Ralph Breaks the Internet” opens in theaters on November 21.